This Christmas, the luxurious scent of Tabu is available in an extensive array of gift lines ranging from $9.95 to $29.95rrp. 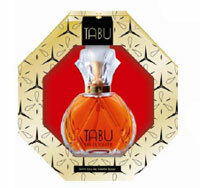 Tabus classic fragrance is also available all year round along with a range of luxury bath and body products. The Tabu Christmas collection is available now from Priceline, Priceline Pharmacy, Big W, K-mart, Target and selected pharmacies.Not all sets available at all outlets.